i figured a Latest Purchase thread about Playstation related stuff only would be a good idea, this forum is named Playstation Collecting Community there fore i even made this sticky so this is always on top. well what a better way to start this topic then to anounce that i FINALLY have Castlevania SOTN LE! expecting it in the mail tomorrow! the playstation move is so much better than i even could imagine! oeh that darkstalkers looks pretty! The poor seller had to pay £9.58 postage too, man did he lose out on this auction. At least I appreciate it! 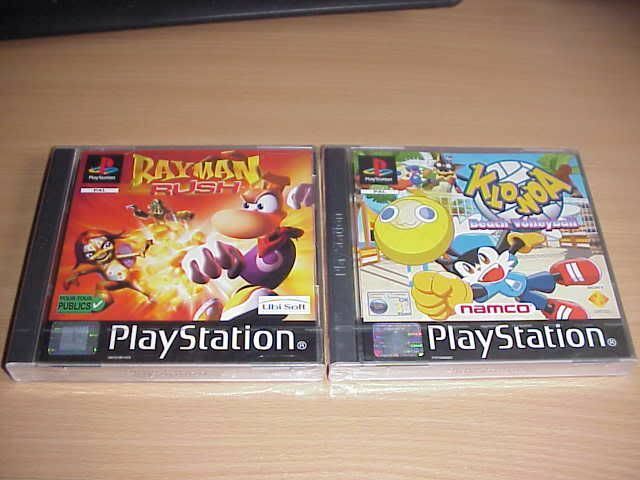 Best set of games i've bought too, absolutely perfect condition, with hardly a scratch to any of the cases even. where are you getting all those steals if i may ask? is that the HMV version? It's the hologram Soul Reaver too. Very happy with this lot as I picked up the normal Soul Reaver on Sat in a great indie games shop in their 3 for £5 PS1 section. Today in a local gamestore, both still sealed and in perfect condition! Cost 18 euro's in total. Metal Gear Solid PS1 from ebay. Finally a decent price. Now all I need is MGS Peace Walker and MGS Acid 2 to complete my MGS collection. just won some great auctions! Won Brave Fencer Musashi on eBay for 8 bucks. :lol: Pretty excited for this one, even though it's an RPG, it looks like a pretty fun game. Raiden 3 . . .